Do you struggle to resolve conflict without resorting to criticism and judgment? Differences arise in any relationship you have, whether at home or at work. Some become so serious that they tear you and the people you love apart. But there is a way out of seemingly unresolvable conflicts where everyone leaves with a sense of fulfillment and with their self-respect intact. This is the path of Nonviolent Communication. Learn directly from the creator and founder of Nonviolent Communication (NVC), Dr. Marshall Rosenberg. NVC has been used by therapists, corporations, and anyone wanting to find a way to improve their relationship skills. Now, for the first time, you can get access to this special FREE training to understand . . .
How positive use of language can transform your relationships. How to recognize and honor “what’s alive” in everyone, including yourself. Examples of how Nonviolent Communication helped resolve conflicts in relationships, in the workplace, in parenting, and during the most difficult times in life. How to forgive yourself and treat yourself with kindness. You’ll hear powerful stories of conflict resolution through Nonviolent Communication—from couples with relationship issues to warring countries. How to understand and recognize the underlying needs that are unmet in everyone. These teachings have been able to resolve even the deepest conflicts in couples, families, workplaces, and communities. Discover how you can implement these teachings in your own life to better your relationships. Sign up for this FREE training. 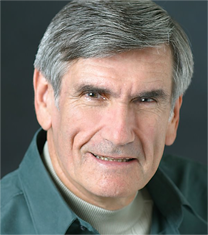 Dr. Marshall Rosenberg pioneered the work on Nonviolent Communication. He spent over 40 years traveling the world and teaching people how to resolve conflict peacefully and compassionately.